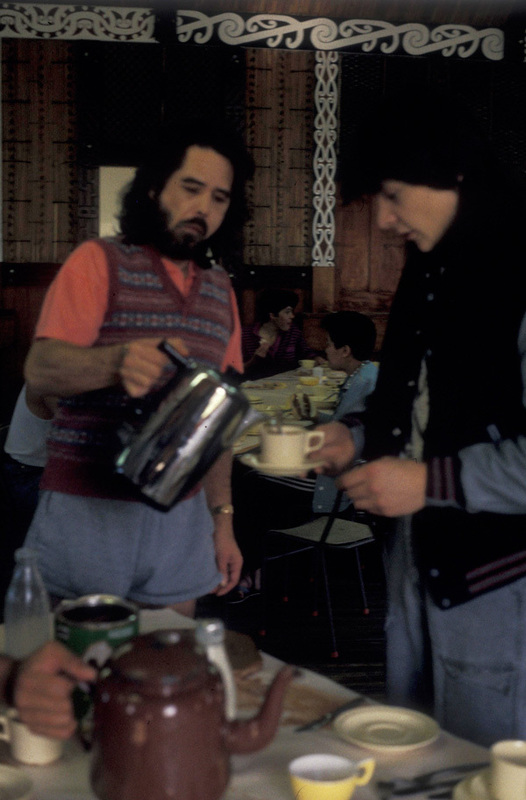 Looking back at Herbs’ 1987 visit to Ruatoria to launch their album Sensitive To A Smile, there seemed to be naivety among the Herbs camp and music media about the gravity of the problems that Ruatoria was facing and continued to face in the years that followed. But any weekend that has one of the country’s finest bands play your marae will be a special event in your community, and for a group of musicians such as Herbs, who had the opportunity to embrace their cultural roots, the weekend was special. 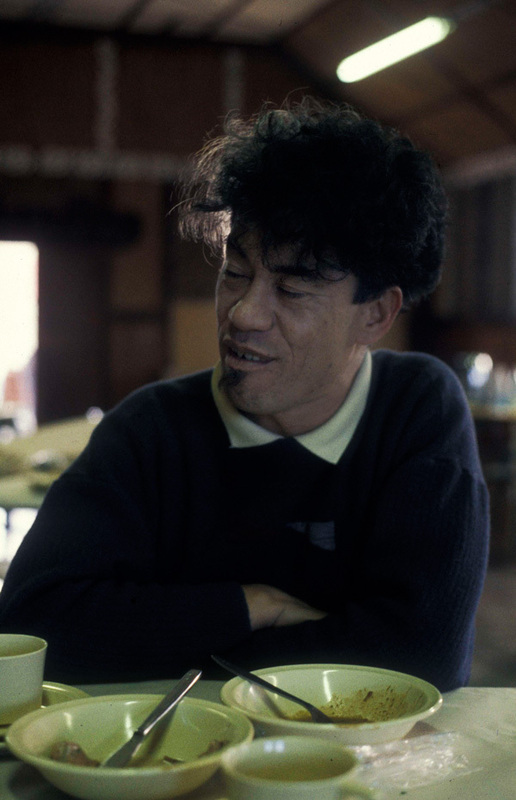 The October 1988 issue of North and South magazine listed the town’s losses from arson – the fire station, the courthouse, police homes, a school classroom block, a bookshop, a petrol station and three Māori churches on local maraes. More than 30 fires were attributed to the estranged, dissident Māori group known as the Ruatoria Rastas or the Mt Zion Hikurangi Rastafarians. I wrote about the weekend in June 1987 (the story appears below) and now, I am surprised by what I left out of the story. I didn’t mention the sublime breakfast bacon at the hotel that was sliced as thick as champagne ham or the decision to hide a Porsche in the hotel garage – the culturally insensitive means of transport used by a Warner Music employee to get to Ruatoria. When a TV crew filmed on the ruins of a burnt church, without permission, local Māori leaders were offended. Many speeches on the marae were in Māori and one summary translation that I do recall was, “if you want to help, help in the kitchen.” The phrase was repeated; suggesting various ways the visitors could help. I think the Kaumātua was saying that it was naïve or even arrogant for the Auckland guests to think they could understand or help in the more important matter of bringing peace to their valley. The arson continued and the violence came to a head in 1990 when farmer Luke Donnelly shot Rastafarians Chris Campbell and Billy Kaihi as they entered his property. Campbell was flown to hospital but he died within hours while Kaihi survived. Donnelly was charged with murder but acquitted on grounds of self-defence. When it looked like Herbs might take steps to incorporate more Māori culture and language in their music, they missed the opportunity and chose to record their next album Homegrown with Eagles guitarist Joe Walsh. And as a time capsule, here is the story I wrote in the first week of June 1987. There were no spare rooms at the Manutahi Hotel in Ruatoria on Queen’s Birthday Weekend. The buzz in the bars was about the annual East Coast rugby team’s game against Poverty Bay, but most of the guests were film crew or journalists attending the launch for the Sensitive To A Smile record and the start of the Pacific Tour by Herbs. Other guests reflected regular concerns of Ruatoria – a bus driver who had to drive a bus of tangi mourners back to southern Hawkes Bay “sometime today or tomorrow” and a relieving Fijian policeman who was on hand for the weekend revelries. Ruatoria is a sizeable town by East Coast standards, the headquarters for the Ngāti-porou tribe, a spiritual centre with seven large local marae and the region is a known stronghold for the Māori language. Though it was curious that Herbs were launching an English language album (excepting ‘E Papa’) in the hometown of the revered Sir Apirana Ngata, it was a necessary irony in the short term. Friday was plagued by timing hassles – Aucklanders set out at sunrise, slithered around wet and winding roads and wondered how a place so near could be so far away. Most arrived eight hours later, two hours after the scheduled welcome. The pōwhiri at Mangahanea Marae took place before dusk with two members of Herbs still looking for Ruatoria. Herbs and the other visitors to Ruatoria, centre (in the orange) is Hugh Lynn. They must have felt like prodigal sons returning home. The members of the band present replied in speech and song to the eloquent Māori orators. They must have felt like prodigal sons returning home – all unable to respond in their own native language. The Friday evening audience of elders and under 12-year-olds was special and Herbs had to soundcheck with their audience seated and waiting in the magnificent carved Uepohatu Memorial Hall, the site of the band’s three concerts during the weekend. A brief tune-up, ‘E Papa’ and Herbs performed most of their new album. When the set was halted by an amplifier failure the children requested the Herbs Kentucky Fried Chicken advert and Willie Hona obliged with a sing-a-long. 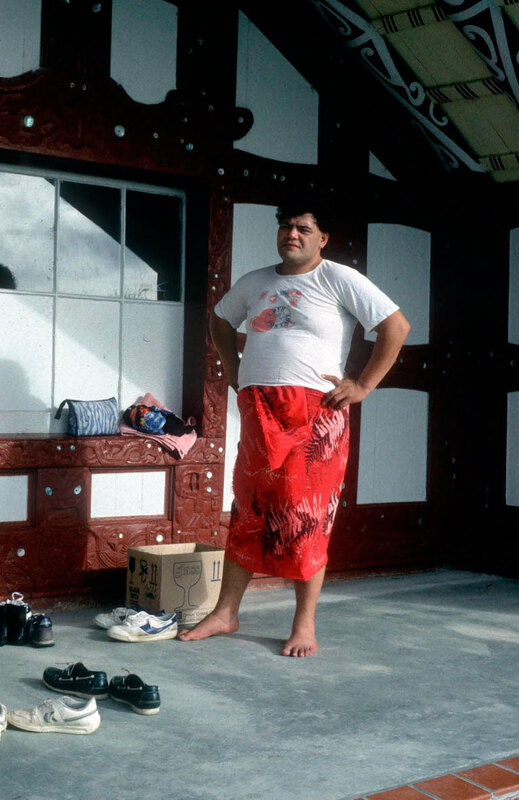 But the performance took off with the familiar ‘Long Ago’ and the band played their catalogue of gems – songs that imbue the concerns of the Pacific with rhythm and melody – music with an uplifting essence in a uniquely appropriate setting, the Ngāti-porou community hall. For Ruatoria Saturday was sports day – netball at Ngata College in the morning and pre-game tension for lunch. The East Coast rugby team draws from the tiny district population of 4,500 fending off amalgamation from archrivals neighbouring Gisborne-based Poverty Bay, and in the spirit of David & Goliath, the team is living for the season’s shield challenge against Auckland on Eden Park. 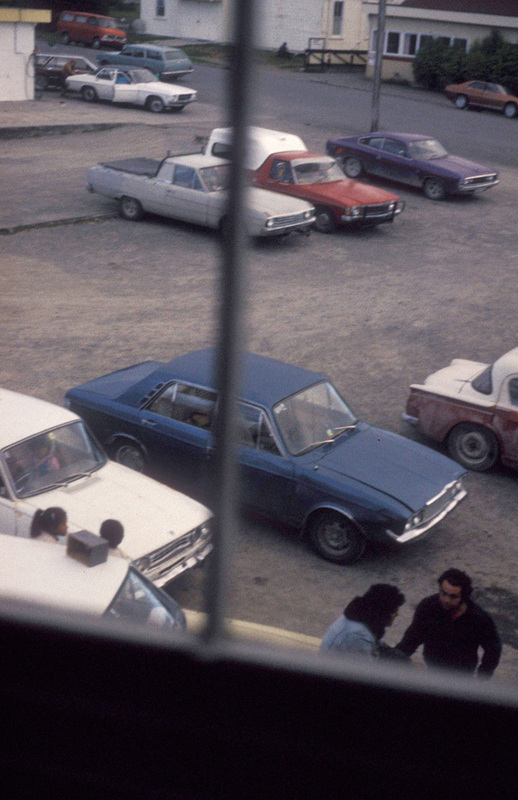 It was a modern drive-in match – first to arrive viewed the annual non-championship game from cars surrounding the grounds. 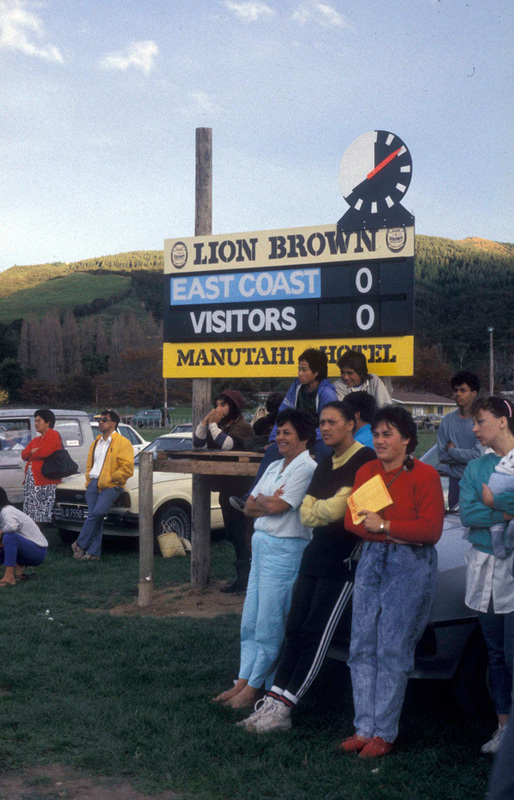 East Coast won the cup last year, and it was nil-all well into the second half until Poverty Bay suddenly kicked two penalties then scored a try and converted, and disillusioned local spectators headed home, the game lost but not finished. Saturday night the hall was packed – hot with people and camera lights, and though chilly outside the storms west of the ranges hadn’t yet reached the East Coast. The evening was essentially the Ngāti-porou concert for Herbs, with the band as guest of honour. Cultural groups and local items preceded the brief set by Herbs who then returned to their seats to face a haka which eventually included all local Māori men however unsuitably dressed, no energy was spared. The incubator-like heat of the film lighting all seemed worthwhile when one realised more than the few hundred crowded into the hall would witness this evening. There was a remarkable unity from the music of the long established cultural groups to the 1980s music of Herbs. Two visiting groups, Te Aitanga-ā-Hauiti from Tolaga Bay and the renowned Te Hokowhitu-ā-Tū from Tokomaru Bay, had arrived at the marae by bus at dusk in time for dinner. Both groups performed their music with energy and visual flair. Hugh Lynn's Bedford Jumbo next to the RipItUp Barina. In front of the van the grouping includes promoter Manolo Echave and soundman Sarne Thorogood. 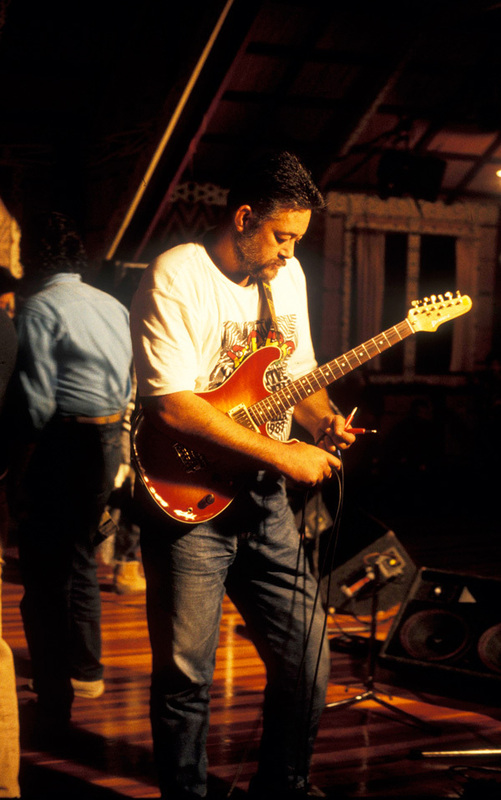 The latter cultural group were once tutored by the late Ngoi Pēwhairangi who composed ‘Poi E’ and they have won praise for their performances for years. When I quibbled later with a Māori music aficionado about the use of old pop chart melodies such as ‘Smoke Gets In Your Eyes’ he noted that the priority of these groups two decades ago was the preservation of the Māori language, not original melodies. the first copy pressed of the new Herbs album Sensitive To A Smile was unveiled and presented to the marae along with a paddle from the Hawaiki-Nui canoe. 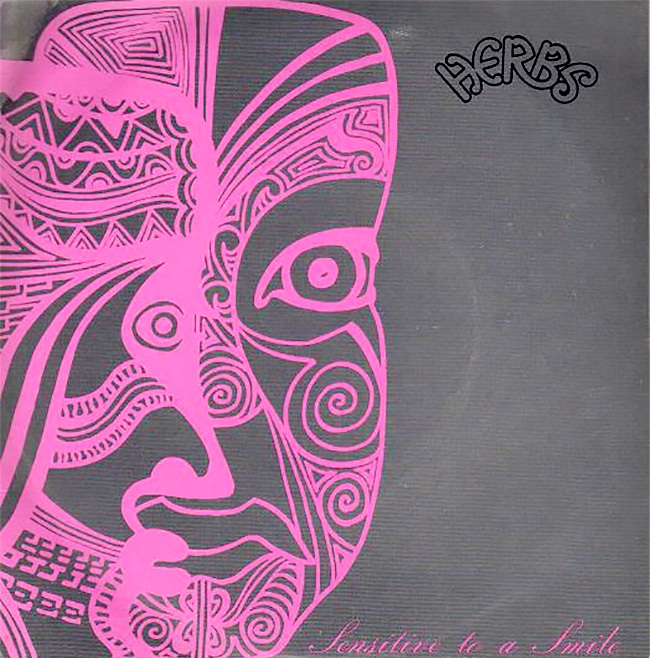 During the concert the first copy pressed of the new Herbs album Sensitive To A Smile was unveiled and presented to the marae along with a paddle from the Hawaiki-Nui canoe that sailed from Tahiti to Rarotonga and New Zealand last year, significantly missing Auckland and landing at Hicks Bay at the top of the East Coast. A young Māori, Sam Keelan, accepted the gifts on behalf of the Mangahanea Marae. Later at the marae hall the songs continued until the visitors had to wind their way back home down the coast. 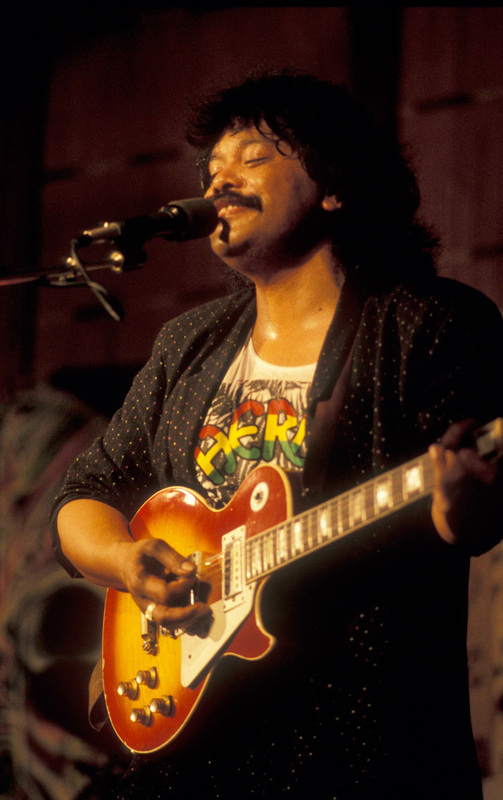 Nobody wanted the evening to end, least of all song-leader Willie Hona who belted out countless numbers on his acoustic guitar. On Sunday the rain reached Ruatoria but despite the wet weather a crowd of about 600 showed up for the Herbs public performance. Seats were removed to make room and many of the local Māori Rastafarians turned up. 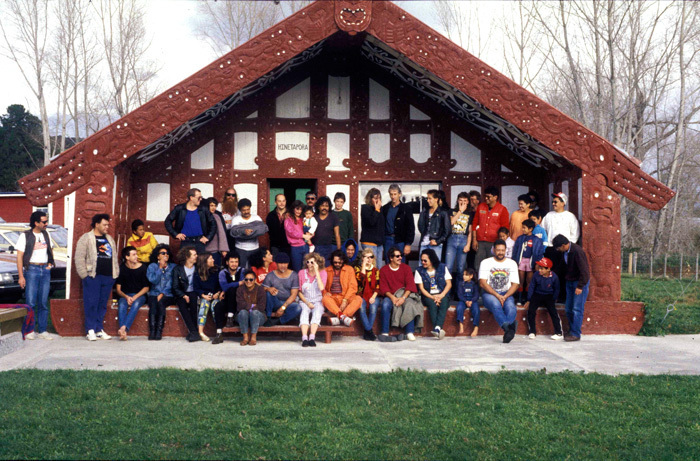 After their final concert the band, locals and Rastas returned to the marae and conversations and music echoed into the early morning. Significantly, at the Monday morning farewell a local Rasta was chosen as one of the marae’s four speakers and Robin Kora (Eye Witness News), representing the weekend’s omnipresent media force, spoke as one of the Herbs and visitors entourage. An over-lunch conversation on Saturday with Charlie Tumahai threw some light on the Herbs sound. When he returned from the UK and auditioned with Herbs, his Caribbean reggae rhythms did not fit. They told him, “We play Pacific reggae, it’s different – take the record home and listen to it.” Charlie discovered a new style he hadn’t learned in his many years of work in the Northern Hemisphere. Herbs have been pioneers in Pacific reggae, several other fine bands have followed and more will emerge. Their success lies with their loose approximation of the Caribbean sound and is compatible with their exploration of styles that are part of the modern Polynesian vocabulary. But their strident rhythms and sublime harmonies are a jewel in danger of losing its edge. The significance of the Ruatoria weekend may lie less with Herbs’ new album and tour and more with their future writing and recording. With increasing Māori representation in their line-up maybe they’ve got to find new roots in lyrics and language to anchor their undoubted mastery of a uniquely South Pacific sound. Somehow there’s something more refreshing about ‘E Papa” as a lyric than another song about Jah or nukes. Maybe it’s time to talk “roots Ruatoria” rather than “roots reggae”. Herbs were privileged to launch their new record in a town that’s never lost its “roots”. 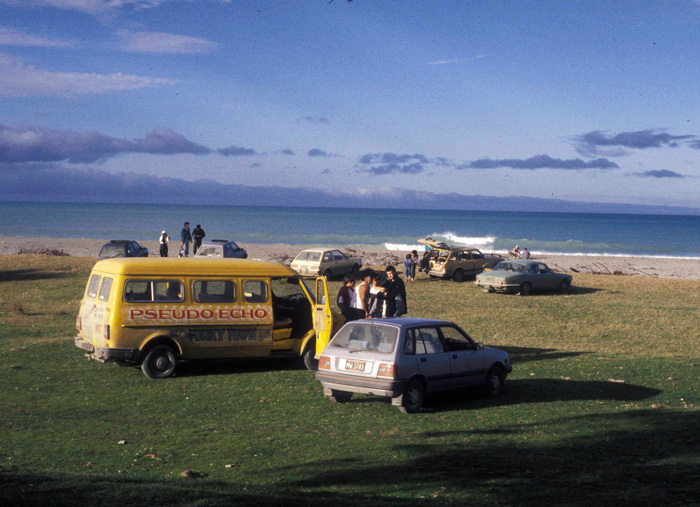 The story originally appeared in the New Zealand Herald, 1987, © Murray Cammick. All photographs by Murray Cammick.